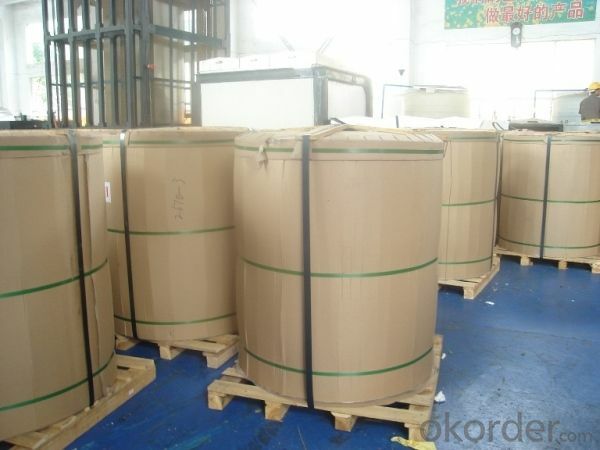 Our coated and stucco embossed aluminium coils are widely used in regrigerators, ice-boxes, cold storage, freezer, etc. We normally use 3105, H44 as base coils. Specification of our stucco embossed and color coated aluminium coils: thickness 0.2-0.6mm, width less than 1600mm. As for coating, we normally use PVDF coating, PE coating, etc. 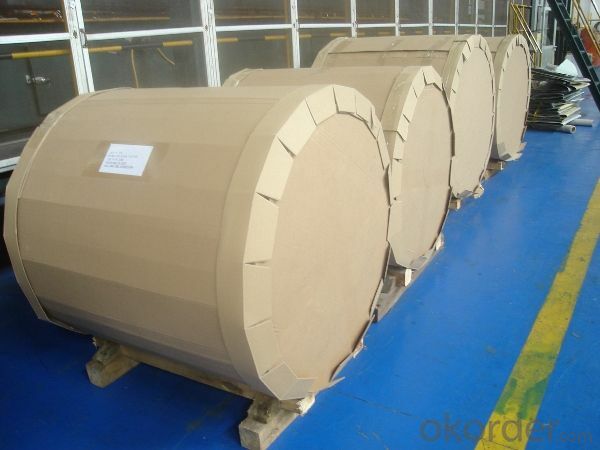 We can adjust coating as per customers’ requirements. 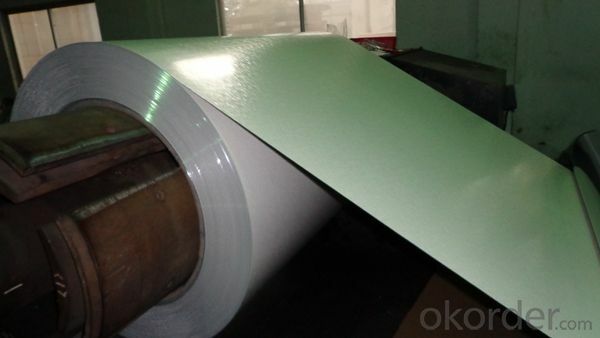 Embossed aluminum sheets have many advantages. Embossing can not only increase thickness of aluminum, but also enhance strength and rigidity of aluminum coils. Embossed & coated aluminum coils look more beautiful and widely used in decorations. It just seems like yesterday when I was a little girl and my mom would pack a parantha in a tea towel and send it with me to my school for lunch. I loved the way the lunch was packed which never spilled a drop of oil and never messed my school bag. The years saw a new trend approaching. The tea towels were replaced by Aluminum Foil, as it was believed to keep the food warm, fresh and avert any spillage. Of course, we as a kid loved it, not that it mattered to us but we could crush the aluminum foil into a ball after finishing our lunch and play recklessly at the break. Unfortunately playing with it was the only legitimate and safe use of Aluminum foil. Now when I look back I realize how limited was our knowledge. We were unaware as to how unsafe it is to wrap the food with aluminum foil especially when it is hot. A study showed that increasing level of aluminum in our food and life leads to brain and bone damage. The scary truth about aluminum is that it is found in so many things in our world and it is toxic to our bodies, even in small amounts. From household products to vaccinations, aluminum pervades our lifestyle, and if not monitored closely, can easily make its way into our bodies causing lasting, harmful effects. The researchers found dangerously high levels of aluminum in foods after being cooked, reheated, and even cooked in aluminum foil. If food is cooked on high temperature wrapped in the aluminum foil the aluminum leaches into your food and then in turn in your body. The cause for alarm is that when aluminum accumulates in the body, it can lead to osteoporosis and Alzheimer's. Now over the passage of years when I have become a mother myself I want to see my kid grow up safe in the healthy environment. Although I cannot eliminate aluminum out of our lives completely but I can determine how to avoid it to the maximum. Then the question arises are there any viable substitutes for aluminum? What is that we can do to protect our food from getting toxic? These are some of the practices if followed can make our food stay safe. Never cook, heat up, or place hot food on aluminum foil. You can use tempered glass containers to do that or more economic would be to use food wrapping paper or parchment paper instead. Avoid storing tomatoes, citrus fruits, or spices in foil. As mentioned above food wrapping paper keeps the wrapped food fresh and doesn't contaminate it. Never use aluminum pots or cooking utensils. Instead, invest in stainless steel pots and pans. You can even use seasoned cast iron skillets or pots or even stoneware as a substitute to aluminum pans. Banana leaves have been considered as the most healthy and natural way of storing, cooking and reheating food. If you can easily find it in your vicinity it can be the best substitute of aluminum foil. While baking use of aluminum foil can be avoided if you line your baking sheet with parchment paper to bake your cookies or even roast your veggies and poultry. If you need to cover your food while or after baking then again parchment paper is the answer, it doesn't let your food become dry and saves it from splashing all over the oven. I can't undo my past but I know for sure that the future of my family lies in my hands. I can pretend to be ignorant or simply callous but ultimately the loss is mine. It's better we adopt healthy and safe food practices like eliminating the use of aluminum foil from our lives and embracing ways like use of banana leaves or food wrapping paper. Don't wait, start today!